Download Facebook Brand Page PSD Mockup. 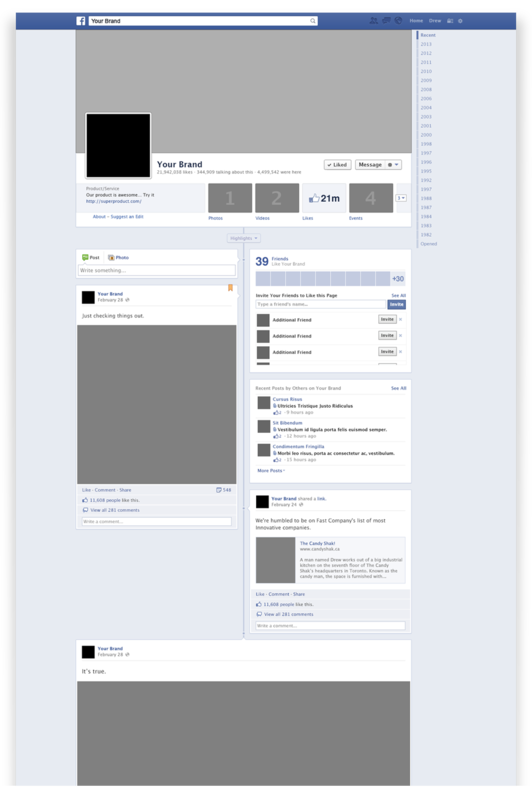 PSD that you could plunk branded elements into and quickly turn around what a brand page on Facebook would look like. Here it is for everybody to enjoy.